High-speed storage options to supercharge your workflow. We’ve also seen some great early memory product deals elsewhere – so we’ve rounded up the best ones below. Will we see better SSD and memory card deals on Black Friday (23 November) and Cyber Monday (26 November)? It’s hard to say. Amazon's offers all expire on 22 November, the day before Black Friday – so there’s scope for the retailer to drop the prices further on the actual day. We did see 30% cut from the price of some SanDisk memory cards on Prime Day in July. But that isn’t to say Amazon has any plans to continue or improve these deals after they’ve finished. Our best advice is: if you need a new SSD or memory card now, go for it. 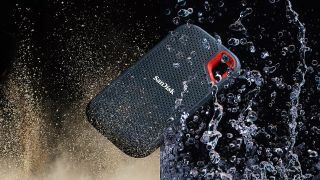 These are very respectable discounts – particularly the (US) SanDisk Extreme Portable SSD 2TB and (UK) SanDisk SSD Plus 480GB deals. If you can wait, and don’t mind risking losing the discounts entirely, you might just get a slightly better deal on Black Friday itself – on memory cards at least. But there are no guarantees.